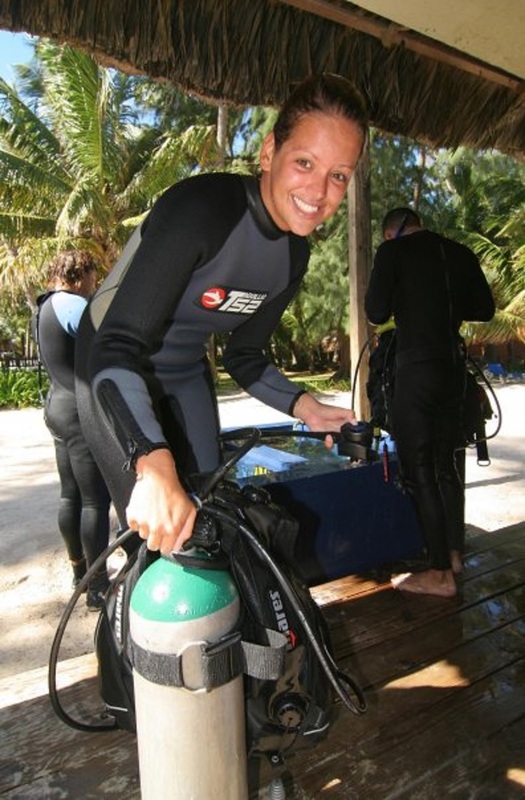 Part 1: How to become a SCUBA DIVE instructor? Are you wondering how it is to live and work as a diving instructor all over the world or do you have questions in regards to taking the ´go pro´ step and becoming an instructor yourself? This and one of my next articles, might help to shine some light on it and if you have questions, please feel free to ask me anything by using the comment box in the end! I hope to be able to help other people who are looking to become a diving instructor by sharing my experience of working as a scuba dive instructor in 5 different countries and 4 different continents. In this article I will share how I became a diving instructor: from zero to hero! 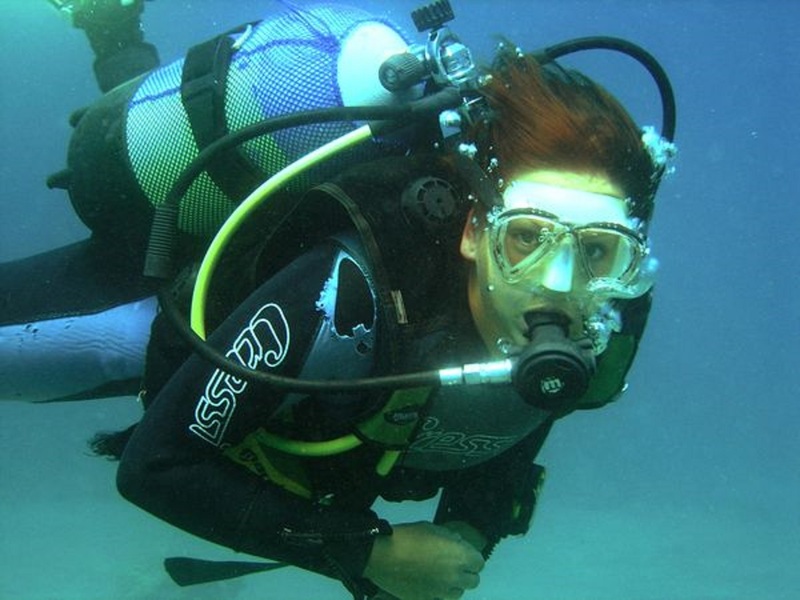 During a holiday in Turkey I did my very first ´Discover Scuba Dive´. I was only 18 years old that time and had no budget to do the full course, but I was satisfied enough knowing that I discovered a brand new world on earth! It was my highlight of the holiday and was extremely excited about it. I was telling all my friends and family that I went ´deep sea diving´ during my holiday, when I came back. A year later I went with friends on holiday to Rimini in Italy and oops… I did it again! Another try dive, no money to do the full course, this time I was studying in the Netherlands, again not much money to spend. It´s funny how the universe sometimes cooperates with your desires. During my study (BBA in Management Tourism) in the Netherlands, I found a traineeship with a touroperator specialised in diving holidays. In this time, I was invited to go to Egypt for only 3 days and during these 3 days, guess what? I did another Discover Scuba Dive! That was it, I promised myself that the next time I will have enough money to do the first Open Water Diver Course. After graduating from university, I was a bit confused about what I was going to do. This is not a surprise at all, if you start to read more about me, my blog or my book, you will find out that I´m always confused about what to do. But somehow things always fall in place! I went to live in the house with my aunty and uncle on Gran Canaria for 3 months and worked as a waitress in Meloneras, Maspalomas. Yes, by now, you might know what I did with my first saved up salary: I did my Open Water Course. Not being aware of any of these organisations, I realised only later that I didn´t have ´my PADI´, I was C-Mas, 1 star. Once I returned back to the Netherlands, I got a job offered at the same touroperator with diving holidays where I did my traineeship in the third year of uni. Again I got invited to go to Egypt, Dahab this time. The dive center there asked me if I would like to do my next course. I got confused because this dive center was PADI and I was C-mas! But I soon realised that you cross over automatically when you´re on the recreational level of scuba diving. I became even more excited about diving. I learned proper navigation, deep diving and I even did a night dive! Even though my English wasn´t great that time and I got a bit confused during the wheel and the table, I passed my practical skills and knowledge reviews in the end. No exams, so no stress! Although, upon returning to the Netherlands, I started to feel a bit stressed. Because in Egypt, I started to realise: I am doing the wrong job! I´m not an office girl, I want to become a diving instructor! The questions was ´how´? Sometimes we shouldn´t think too much about things in live, if you feel it in your heart, you should go with it. And so I did! 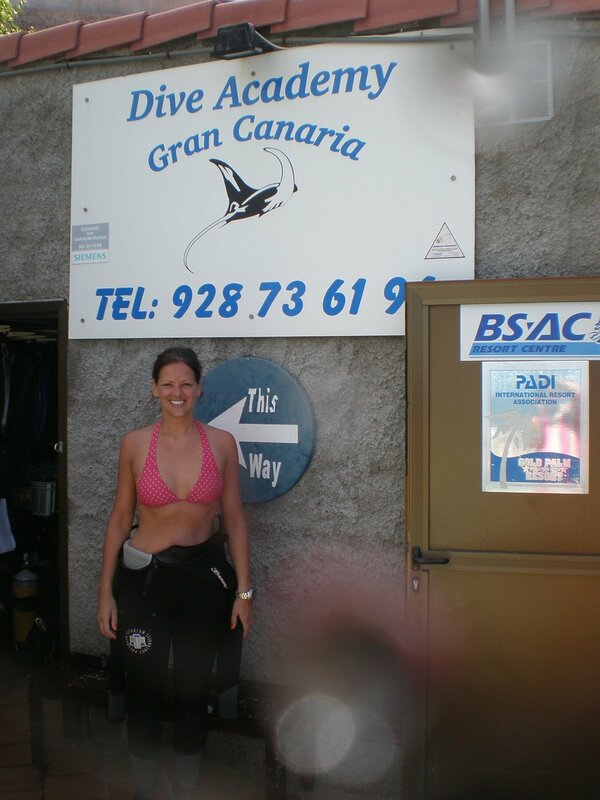 I stayed long enough in the Netherlands to save up a bit and after deciding I first like to go to Gran Canaria again, I mailed all dive centers on the island to check if I can do a Divemaster traineeship including rescue diver course. And I found a suitable one! 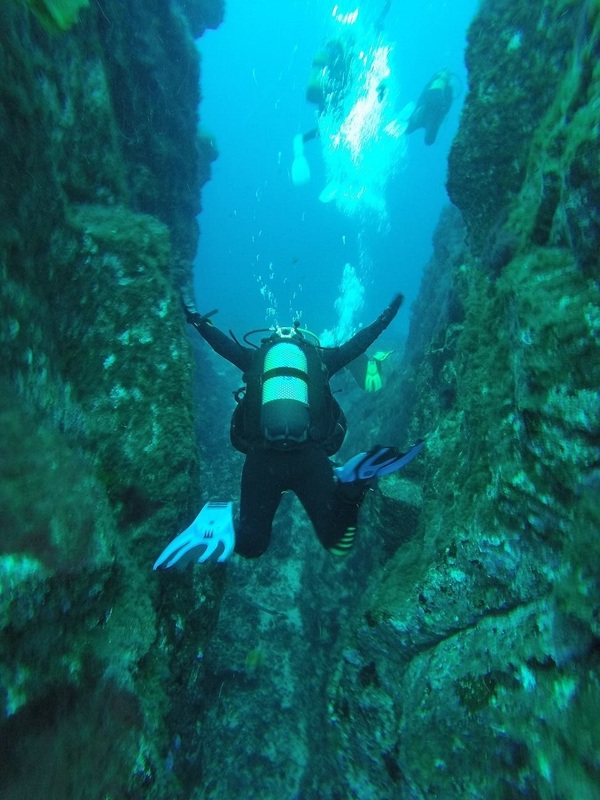 There are some divers out there who prefer to pay for their Divemaster course and do it that way. However, I think the best way to become a Divemaster is by doing an internship. Why? There are a few reasons for this. By taking the PADI Divemaster course you start to enter the ´go pro´ in diving. It means you somehow would like to work in scuba diving and make your profession from it. If you pay for your Divemaster course and still are some sort of ´customer´ to the dive center, you don´t experience what it is to actually work for a dive center and see the things from the other side. The PADI Divemaster course provides you thé basics to become an instructor later on. The theory includes physics, physiology, environment, equipment, the tables and information about the PADI system. 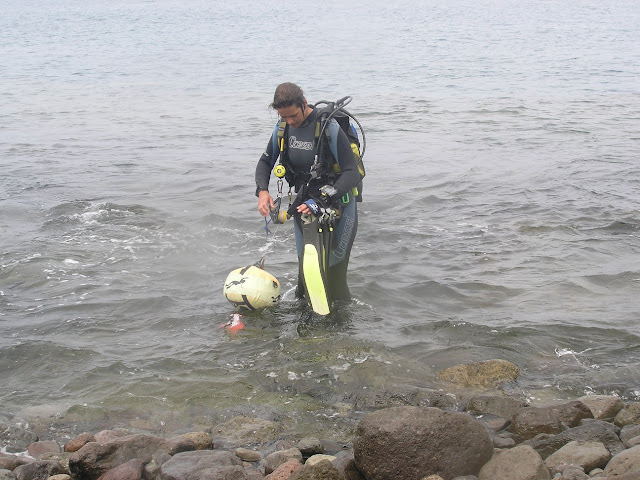 Tasks include a project to map a dive site and organise a rescue plan. But, the main thing is scuba diving! You need to complete 60 logged dives before you can get certified as a PADI Divemaster. What is the easiest way to get this amount of dives together? Dive every day! If you dive everyday, get working experience as a team member and do all these projects, it´s much easier to work for it during a couple of months in comparison with coming in once or twice a week on a longer term and do it that way. You will get a much better feeling for working in a dive center and create a profound basis which you will appreciate later on whilst becoming an instructor. It´s much faster and probably much cheaper too. If you save for food and accommodation for 2 months beforehand, I think it much cheaper to work for your course then to pay for it and come in sometimes. I´m not sure what dive centers are asking for it nowadays but if you have to pay for all these things you can also do as working as a part of the team, I think the answer will be calculated very quickly! And of course, it´s much faster. If you come in only during the weekends, let´s say, it will take you an enormous amount of time before you finish everything and complete the required amount of dives needed for certification. As part of my Divemaster course I got the Rescue Diver Course for free. And because I worked so hard, my boss also gave me the Assistant Instructor Course free of charge afterwards. This is only possible if your instructor is a PADI Staff Instructor, but make your own deal! Thank you Dave Gration! The salary of Divemasters are not very high. Depending on where you are on the world, it´s sometimes even very hard to find a job as a Divemaster. And I was not prepared at all. Before I even started my traineeship, I didn´t know the costs for the Instructor Course, I didn´t know about PADI fees, I even didn´t know I needed to get my complete own equipment together. So again, I didn´t know what to do. With all these costs, and working as a Divemaster on the Canary Islands, I calculated it will take me a few years to become an instructor. But I didn´t give up. I made a deal with the dive center and the restaurant next door! I could leave the dive center every day at 17.00 hrs to get ready and transform myself into a waitress from 18.00 – 22.00, for 6 days a week. It was not always easy and hard work, but it was fun, very rewarding and I was making my dreams come true. After about 10 months, I got my whole equipment together, money saved for my instructor course and I spoke a new language: Spanish. Because in the restaurant, they only spoke Spanish. Then I went to the Dominican Republic to my IDC: Instructor Development Course. First I worked a couple of months as a Divemaster and then I started my instructor course. It was fun, I enjoyed to go back to school with my black PADI rucksack and to sit down in something which looked like a proper classroom for about 2 weeks. Since you learn all basics in regards to the dive theory in your Divemaster course, the IDC is all about teaching and how the PADI System works. We needed to practice presentations, get our skills absolutely correct in the swimming pool, refresh our Divemaster theory and do flawless rescue diver skills. I was in a small class of 6 students, I remember that there were 4 guys from all over the world (Canada, United States, Cuba and Italy) and 2 girls from the Netherlands, including me. I didn´t know the other Dutch girl, it was coincidental but we have had some good laughs during also times of hard work. But we did it, two weeks later we got certified as official PADI OWSI´s: PADI Open Water Scuba Instructors. 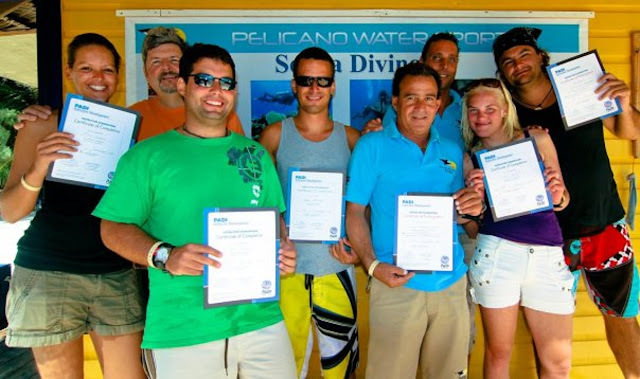 Our Course Director included the 5 specialities instructor and Emergency First Response Instructor so that we could automatically apply for our Master Scuba Diver Trainer after certifying 25 students. Finally we are official PADI Open Water Scuba Instructors! That was it. Now I was an instructor. A new world opened up to me with jobs all over the world. This was only the beginning for many new adventures and making a lot of new friends all over the world. You can read all of this and my following adventures in the book ´Safety Stop´ I´m currently writing. I will soon share a new blog post in which I shared how I worked as a diving instructor in Dominican Republic, Mexico, Maldives and Australia. Pick a reliably and recognisable dive training organisation! If you´re serious about finding a job as a diving instructor, I would absolutely recommend you to do it with a recognizable training organisation. PADI is the most recognized over the world, although there are few other organisation worldly recognised like SSI nowadays. 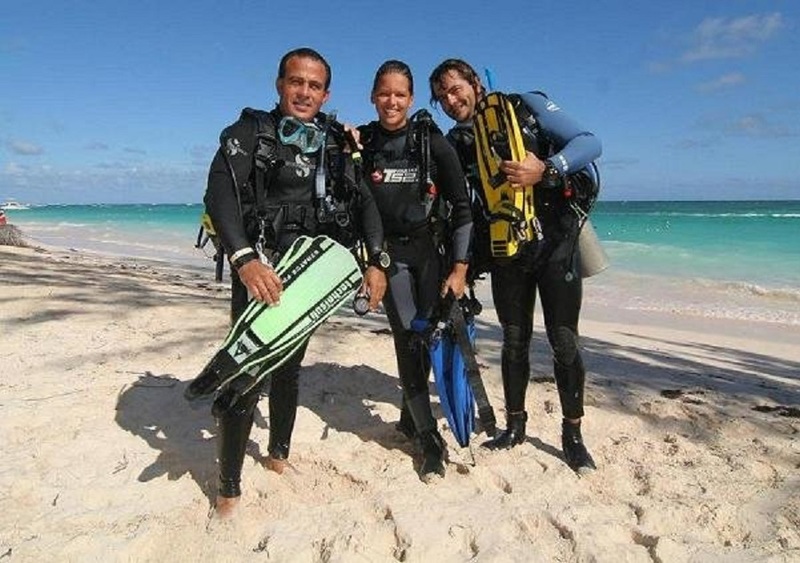 However, I´m convinced that with PADI it´s easier to get jobs all around the world. In my experience I am very happy I did everything with PADI and got crossed over during my advanced course. I´m not sure about the other organisations, but PADI offers an employment board on their pro-logins website with jobs offered all over the world. Most divecenter over the world are PADI, so to work for them, you need to be a PADI Instructor. In my experience for both Divemaster as well as looking for instructor jobs, it´s very useful to speak more languages. I may be privileged to have grown up in the Netherlands, one of the countries that teaches a lot of languages, but the best practice is just to speak it. I knew nearly any Spanish when I moved to Spain and just picked it up very fast by speaking and mixing with Spanish-speaking people. And even though I learned German at school, it was terrible when I first left the Netherlands. But after I have left the Netherlands, I didn´t took me long before I was actually teaching in German. My languages only got improved by speaking them. I think the best way to learn a language is to move to the country where they speak that language. Travel lightly as a Divemaster or Diving Instructor! When I did my IDC I did not even have a laptop, I took a small backpack with the complete PADI book selection including the heavy instructor manual that time. Nowadays, it´s all available in digital format. But still, you have to bring your own equipment. What I normally do is have a small backpack with some personal stuff and clothes and a huge overnight bag on wheels with my dive gear. My complete dive equipment including teaching material and things like surface marker buoy, already weights nearly 20 kg so it´s important to get used to travel with basic stuff and especially as a female I needed to change on bringing nice clothes and a variety of shoes when I first became a Divemaster. But it´s worth it. In most destination you don´t need much clothes anyway, I sometimes only have flip flops and running shoes with me! Currently I´m on the Maldives on a local island, called Rasdhoo. Did you know that you can now do your divemaster on the Maldives in an affordable way by staying on a local island rather than a resort? Contact me if you´re interested in doing your Divemaster on the Maldives!! You can read more here about staying and diving on a local island on the Maldives. Recently I have been travelling around as a Splashpacker and doing some diving here and there, and I´m sharing my experience by writing about it and taking photos. Do you have any questions about taking the step to become a PADI Pro? Ask me anything by using the comment box below. Expect another article soon in which I share my experience working as a diving instructor in and on Dominican Republic, Mexico, Maldives and Australia. I´m also writing a book about these and other life experiences so far, you can read more here. Happy Bubbles & Safe Travels! A fantastic introduction Ellis into giving an insight into becoming a professional scuba diving instructor. I can relate to your experience of working with Dive Academy in GC, The staff always look after their diving guests and have offered excellent training opportunities to their staff. �������� Neil. I'm looking forward to reading the whole book over an upcoming holiday involving recreational scuba diving. Thanks for sharing your experience. I am about to start my DM internship in a few weeks and it is interesting to know how it looks like. I’ve been diving for 10 years about and feel ready to change my life and become pro. @Polo : You´re welcome and it is a pleasure to be able to help people like you! Go for it and if you have any questions or if I can help with any advise, just ask me!